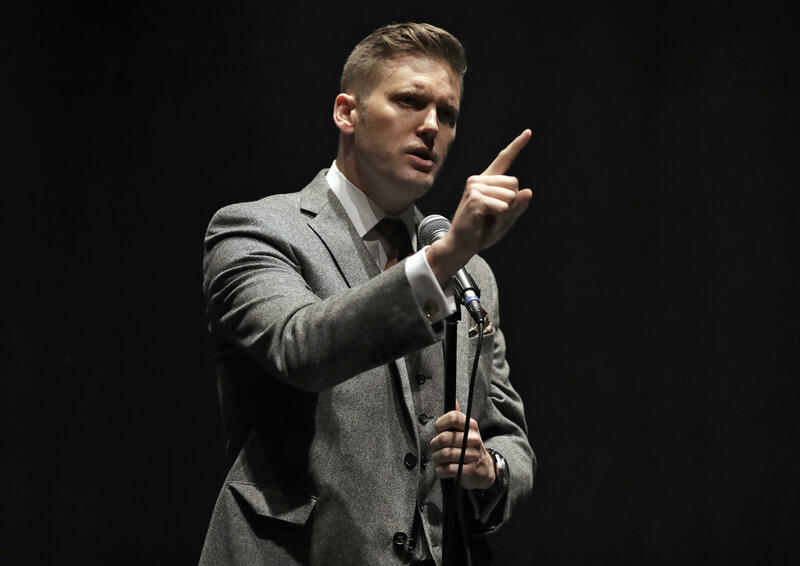 Richard Spencer speaks at the University of Florida in October. Associates of Richard Spencer say they finally booked a date next year for the white nationalist to speak at the University of Cincinnati: March 14, 2018. University of Cincinnati offered the National Policy Institute three dates for the speech, all of which occur during the school's spring break. NPI will rent out the University of Cincinnati's Zimmer Hall for two hours - one hour for Spencer speak, and one hour for him to answer questions. The school and NPI have not yet agreed on a rental fee for the auditorium, and have yet to sign a contract. Michigan attorney Kyle Bristow, who represents tour organizer and Georgia State University student Cameron Padgett, has pursued legal actions to book Spencer space on college campuses. In October, Bristow filed a lawsuit against The Ohio State University in federal court after school officials rejected Padgett's proposal. 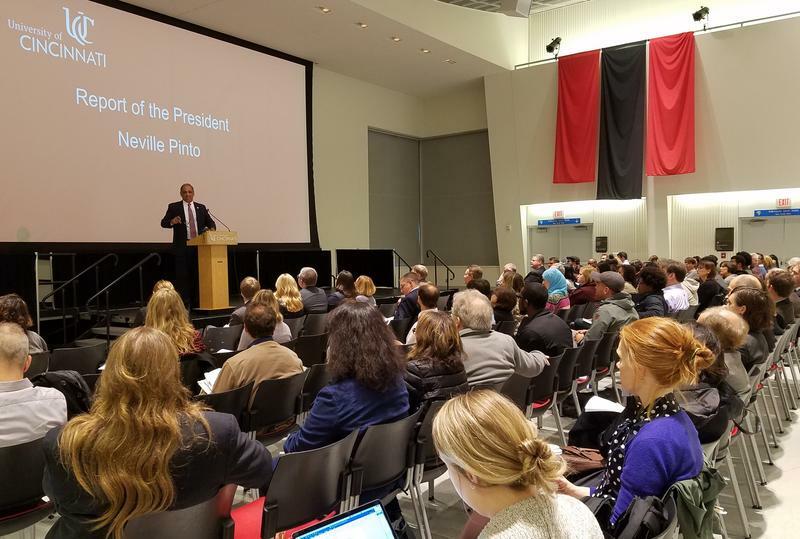 University of Cincinnati president Neville Pinto has defended the decision to allow Spencer to speak, and university trustees argue the school has a responsibility to uphold free speech. But Pinto said he thinks the school "can beat Spencer at his own game," and student and community groups are planning actions opposing the event. A complaint dated November 30 named Ohio State president Michael V. Drake and reservation agent Whitney Rule as defendants for violating Padgett's "right to free speech." Bristow seeks an injunction to allow Spencer to speak at Ohio State, in addition to $75,000 in damages. In their rejection letter, Ohio State cited "substantial risk to public safety, as well as material and substantial disruption to the work and discipline of the University," and referenced violence that broke out at Spencer's appearance at the University of Florida. Michigan State University and Penn State University also refused the speech requests, and lawsuits are pending against those schools as well. When he speaks in March, Spencer's visit will likely come with a hefty price tag. University of Florida President Kent Fuchs estimates it cost his school $600,000 in additional security, and at least five people were arrested. University of Cincinnati President Neville Pinto says he agonized over the decision to allow white supremacist Richard Spencer to speak on campus. The University of Cincinnati board of trustees has condemned hate while defending a decision to allow white nationalist Richard Spencer to speak on campus. An associate and organizer of campus tours for white nationalist Richard Spencer has followed through on threats to sue The Ohio State University after school officials refused to rent campus space for Spencer to speak. 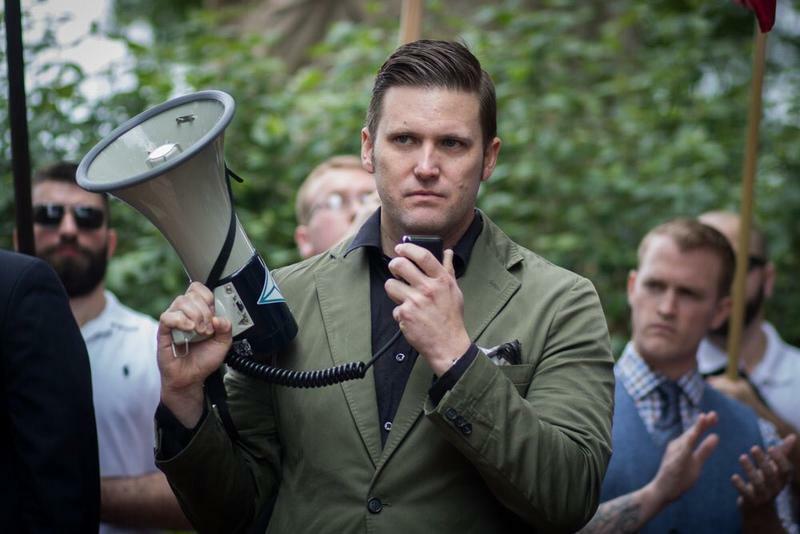 A lawyer for white nationalist Richard Spencer says he will file a federal lawsuit against The Ohio State University after officials refused to allow him to rent space on campus.